In case you missed it, I moved! Thanks for reading and I’ll see you over at shannonepowers.com! Actual image of me trying to read a contract from 1934. When you’re an agent and 4 clients send in their revisions at once. Me in the throes of a Professional Crush. If you’re like me, you toil for hours editing and fine-tuning the first pages of your manuscript. You look at the first lines to make sure they are compelling and tight. You examine the next few paragraphs hoping your MC’s voice is already taking hold of the reader. 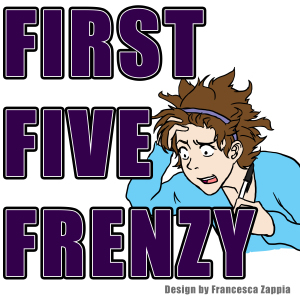 The First Five Frenzy is all about getting an agent’s perspective on what works, and what fails, in those first pages of a manuscript. It’s tricky to get just the right balance, but I hope by reading each agent’s comments you’ll learn how to make your manuscript a shining gem that’s requested over and over. Today, I’m proud to share Shannon Powers’ perspective on what’s important in those critical first pages. Amy: Many writers have the impression that a great first line is imperative to drawing in the reader. How important is a first line to you as an agent?